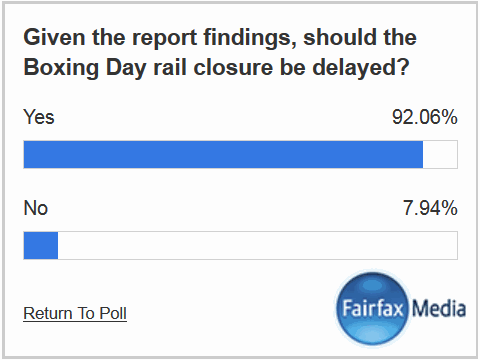 Rally against the Rail Closure Bill — Sydney, Tues 15 September 2015 ← Save Our Rail NSW Inc. Please bring any SOR banners & signs you have from other rallies & marches. If you need a SOR sign they can be collected at 770 Hunter Street. Ring 0409 610 110 to arrange. People catching further down the line, look for 2nd carriage from front on 9.25 train. PLEASE TRY TO BE THERE TO GIVE STRONG MESSAGE TO THE GOVERNMENT AND THE SHOOTERS & FISHERS PARTY.